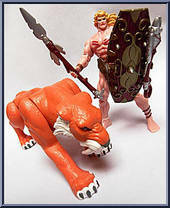 Native and leader of the Savage Land, Ka-Zar rules his prehistoric kingdom with his faithful sidekick, Zabu. 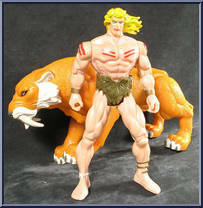 An expert fighter, hunter and tracker, nothing dares to threaten Ka-Zar. Zabu, the saber-tooth tiger, is ready to protect his master with his two massive razor-sharp teeth and huge paws. Ka-Zar and Zabu rule the Savage Land side-by-side keeping all its prehistoric beasts in order and safe from outside attacks. 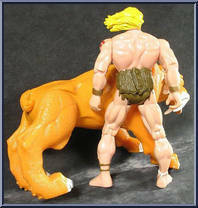 Contribute pictures, update details or suggest corrections for Ka-Zar & Zabu. Write a review about Ka-Zar & Zabu.